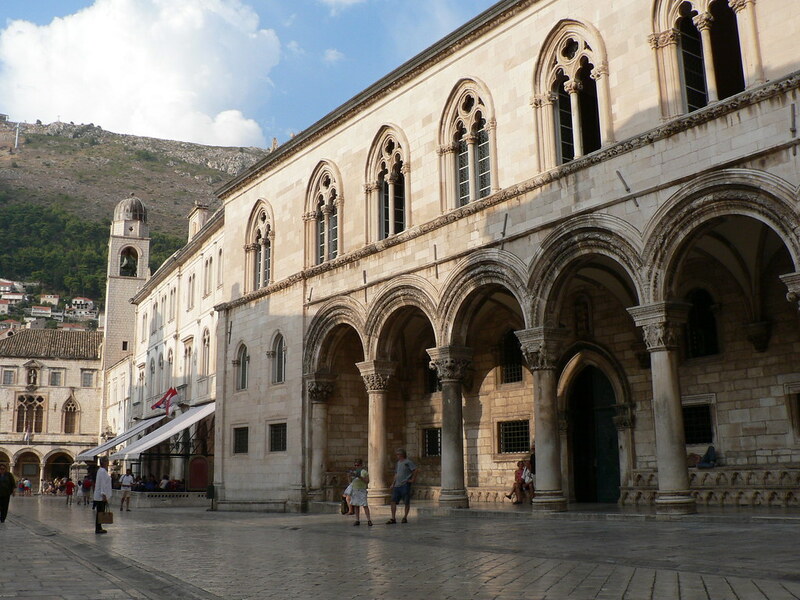 When you picture the perfect medieval town, you likely picture a place just like Dubrovnik. It’s got the narrow streets paved with stone and centuries-old buildings in varying states of restoration or decay. Between the historic sites, you’ll also find quaint little cafes with wrought-iron outdoor seating, local markets, and five-star hotels. The ancient landmarks and comfortable amenities draw tourists from all over to this seaside city in Croatia. If you only have one day in Dubrovnik, don’t worry. It’s incredibly pedestrian friendly and most of the attractions are crowded together in the heart of the Old Town. Need help getting around the city? Make sure you see the best sights with this complete 1-day Dubrovnik itinerary. Dubrovnik is a seaside city, with most of the town situated around the waterfront. This includes the old fortress walls that house the Old Town neighbourhood. 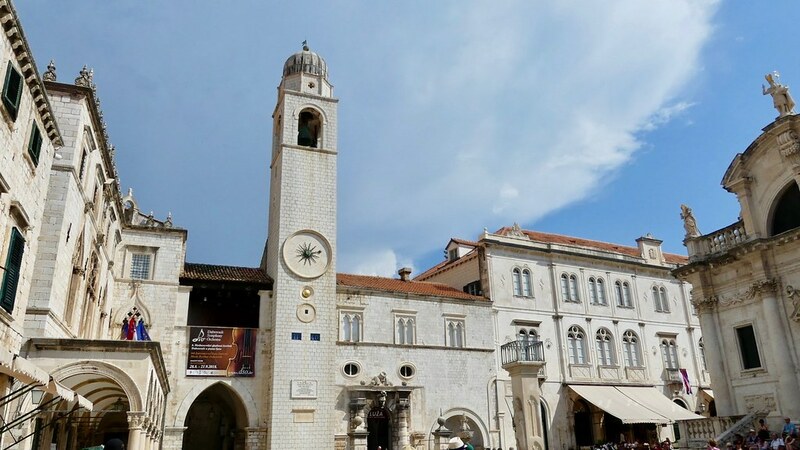 While 24 hours in Dubrovnik may not seem like a long trip, it’s still plenty of time to check out the most important landmarks. Many of the best spots are within the Old Town area and all within walking distance. Enjoy authentic local cuisine at outdoor cafes nestled next to ancient architecture. Ride a cable car for a better view of the city, and take a boat trip to nearby islands. Like many of our one-day city itineraries around Europe, this trip through Dubrovnik will be a full day with lots of historic landmarks and scenic views. When exploring Dubrovnik in one day, it’s best to start at the edge of the Old Town. Entering through one of the gates allows you to experience what it was like for visitors reaching Dubrovnik hundreds of years ago. There are two main gates – Pile and Ploce. Entering through Pile gate requires an admission fee, but provides access to the city walls, which are another highlight of this trip. The walls were built in the 10th century and remain the best-known feature in the city. In some areas, the walls measure six meters high and six meters thick. They also surround the Old Town, which is where you’ll spend most of the day. 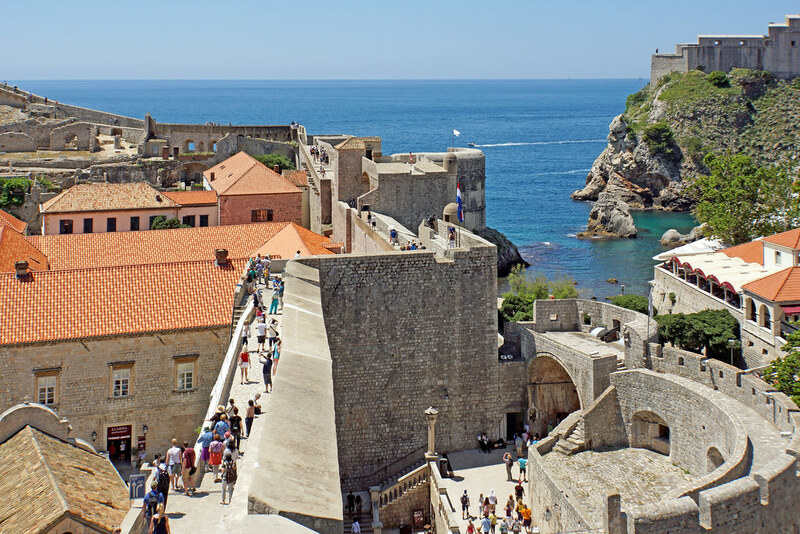 You’ll get to pass the city walls a few times during your Dubrovnik itinerary. For now, spend a few minutes checking out the impressive structure as you pass through Pile Gate. 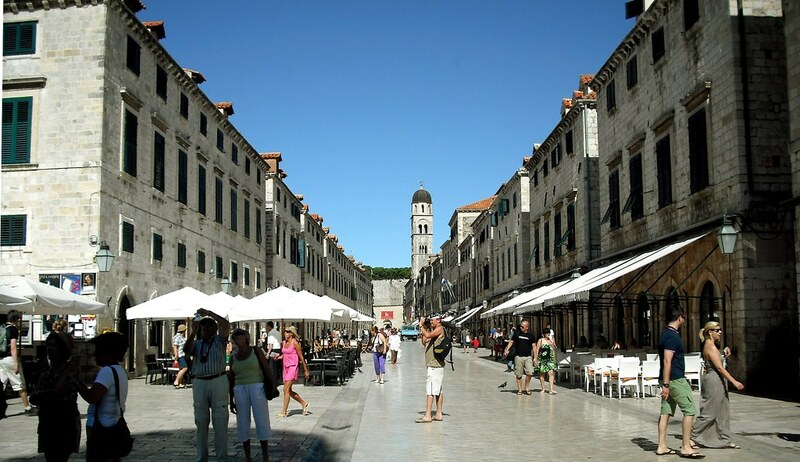 When you pass through Pile Gate, you’ll be standing on the main pedestrian thoroughfare in Dubrovnik. Stradun is more than just the best attraction in the city. It’s also one of the top destinations for any Croatia itinerary. This quintessential European thoroughfare takes you directly through the centre of the Old Town. As you walk the 300-meter limestone-paved road, you’ll see a great selection of cafes and restaurants, giving you a chance to grab breakfast or an early lunch. The picturesque thoroughfare includes rows of ancient buildings containing a mixture of residential and commercial spaces. Most of the buildings have apartments upstairs and businesses on the ground floor. Take a short rest at one of the outdoor cafes. Sit back, relax, and marvel at the architecture of the city. Stradun takes you from the western gate to the eastern gate, cutting through the middle of the Old Town. You can either wait until you finish eating or take your meal to go as you stroll toward the other end. Like most historic European cities, Dubrovnik has a large public square, providing a gathering spot for locals and visitors. It’s just outside the eastern gate at the other end of Stradun. Walking to the square also gives you the chance to travel the entire length of the thoroughfare. The square itself is impressive and surrounded by more of the ancient buildings found throughout the Old Town. It’s also just outside the Church of St. Blaise, Sponza Palace, and several other public monuments. You’ve now travelled across the centre of historic Dubrovnik. If it’s still early in the morning, you should have plenty of time to explore more of the surrounding area. Instead of immediately continuing to your next destination, check out some of the side streets off Stradun or pay a visit to the many small shops. After wandering around for awhile, head back to the square and walk south. You’ll pass another ancient church and the historic town hall before arriving at Rector’s Palace. The large structure features a mix of Gothic and Renaissance architectural styles. As with many historic towns and cities across Europe, it’s been partially damaged and restored several times over its multi-century history. Currently, the Palace is in a fully-restored state, with a large central courtyard. The area often attracts a lot of performers and often plays host to various festivals and concerts throughout the year. The inside of the palace includes a large museum with over 15,000 artworks, including various exhibits that detail the history of the region and paintings from famous Italian and Dalmatian painters. This is a necessary stop for any art lover or amateur historian. You should have time to take the full tour, which typically lasts a couple of hours. The next historic site is just a few minutes south of Rector’s Palace, but there is always time to take a detour. If you get hungry at any point during your one-day trip to Dubrovnik, walk back to Stradun to recharge at a café or restaurant. When you’re ready, Dubrovnik Cathedral is the next stop. The Baroque-style cathedral was built over 500 years ago on the site of an older cathedral. It’s a large building lined with detailed carvings and sculptures. The exterior is well preserved while the interior features luxurious décor and furnishings. Much like the palace, the cathedral houses many priceless works of art from prominent Dalmatian artists and other religious items. The most important relic inside the cathedral, however, is a portion of the cross that Jesus is believed to have been crucified upon. 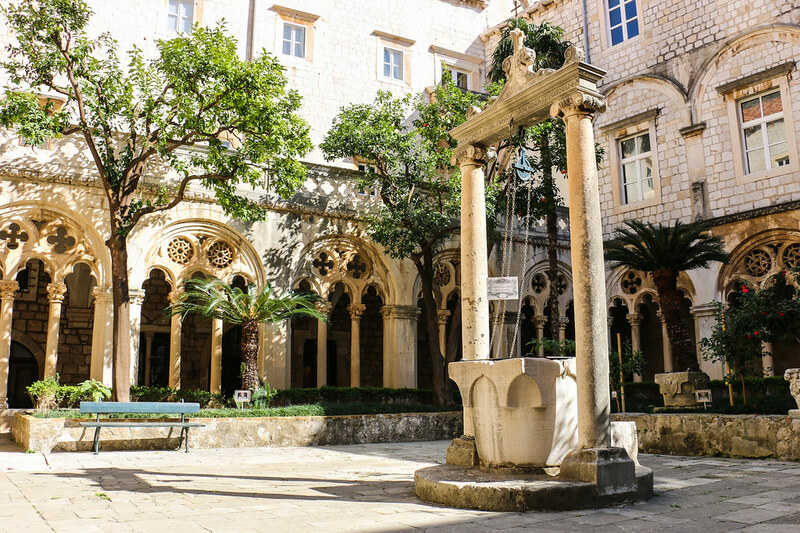 The cathedral is a popular stop in Dubrovnik and often has long lines. If you want to save some time, it’s always a good idea to purchase your tickets in advance. When you exit the cathedral, walk down to the harbour near the old port. You should see a crowd of tourists near the water, which is your next destination. You’ll take a short boat trip to Lokrum Island. If you need to see all of Dubrovnik in 24 hours, it can be hard to enjoy some of the side attractions. The area surrounding Dubrovnik is also full of fun activities and attractions, including the nearby Lokrum Island. Luckily, you should have enough time for this one excursion. The island is just a short 10-minute boat ride away from the harbour. Lokrum contains a large botanical garden, a monastery, and long paved paths that take you across the island. While it’s a popular spot, the island is spread out enough that it should feel a little less crowded compared to the Old Town. The botanical garden is the highlight of the island. Enjoy the fresh air as you walk through forests of native vegetation. It’s a nice break from the city and the boats come and go constantly, making it easy to get right back to the Old Town when you’re ready to head back to the winding cobblestone streets. When you get back from the boat trip, enter the Old Town through Ploce Gate and immediately head north to the Dominican Monastery. It’s impossible to miss after you pass through the gate and turn right. The large monastery was built in the 13th century. The adjacent gothic church has a small courtyard with several trees and stone benches, creating a pleasant spot to rest for a minute. If you’re lucky, there won’t be a lot of other tourists. Travellers tend to overlook the monastery, as it’s a little further from Stradun. The courtyard also has a small garden and a 14th-century well that still provides water. You can also see the top of the bell tower from the courtyard, which is another important landmark in the city. The inside of the church contains another museum and more priceless paintings. You can even view the skull of King Stephen I of Hungary. After touring the monastery, follow the city walls west to reach Buza Gate, which is the northern entrance to the city. Climb the steps and work your way north of the Old Town to the cable car. 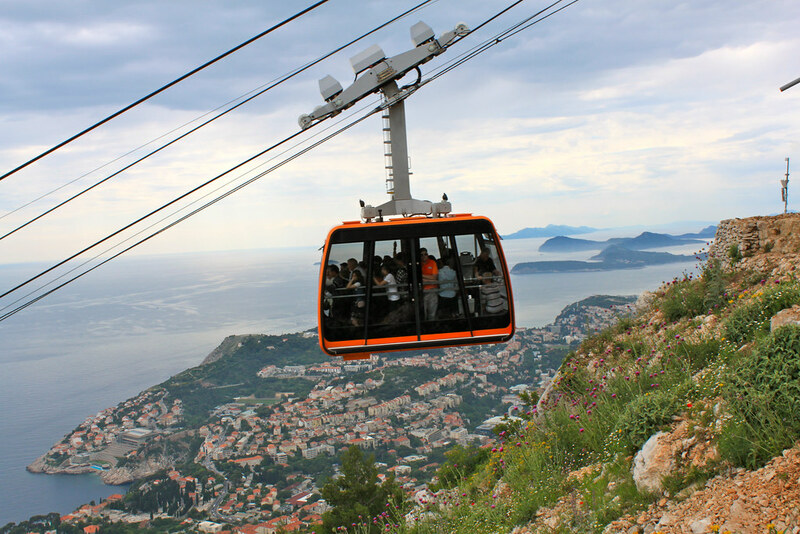 The cable car is one of the top attractions in Dubrovnik, as it gives you the best view of the city. The ride only takes a few minutes and takes you to a peak of the hill behind Old Town. When you get to the top, look out over the city and see if you can spot all the attractions you visited during your 1-day Dubrovnik itinerary. You’ve spent the day seeing the city up close; now it’s time to kick back and take in the entire city and enjoy the view. With the city’s ever-growing popularity, picking out where to stay in Dubrovnik is becoming more challenging year-to-year. When you’ve got just a day in Dubrovnik, the best area to stay is undoubtedly in or around Old Town where you’ll be spending much of your time. Apartments Festa: A beautiful apartment occupying a historical building near the centre of Old Town. Units offer a ton of character & modern amenities with superb value for the central location. Scalini Palace: Set in a 16th-century manor house, this lovely guesthouse sits a perfect location just steps away from Old Town’s main promenade, Stradun. All units feature a kitchenette for self-catering with some offering a balcony with epic views over the historic centre. Grand Villa Argentina: As the name implies, this grand seaside villa teeters on the edge of Old Town with incredible vistas unto Old Town and the Adriatic. Whether you want to take a dip at the beach or chill out by the pool, this property is among the most relaxing you’ll find near the centre of Dubrovnik.